A dramatic, eye catching photo can mean dramatic profits. Getting a well exposed photo is extremely important. Photographers often turn to a flash to help light the scene. The problem is that flash can cause harsh reflections or glare spots or create deep shadows that distract viewers. 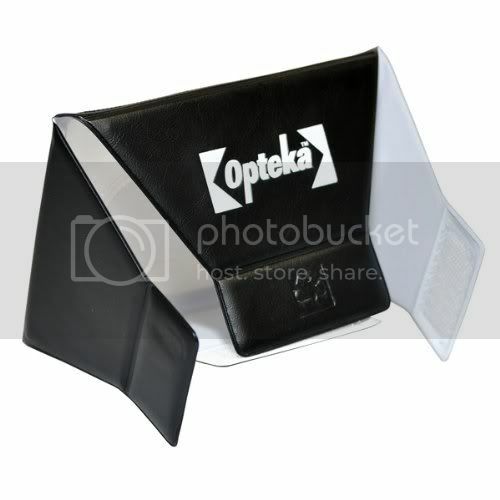 This little, portable universal external flash diffuser will prevent those problems when using a flash. Simply put the unit over the camera's flash, point and shoot. The light will be softened and your photos will be well exposed, without the harsh glare spots.